THQ Nordic has become infamous for its continuous acquisitions of IPs, and the company is already seeing positive fiscal results. Today, THQ Nordic has added yet another franchise to its ever-expanding line-up: Carmageddon, an intellectual property from Stainless Games. Carmageddon is a vehicular combat racing game that was released for PCs back in 1997. It is known for its arcade-like brand of aggression and over-the-top, pedestrian-hitting gore. 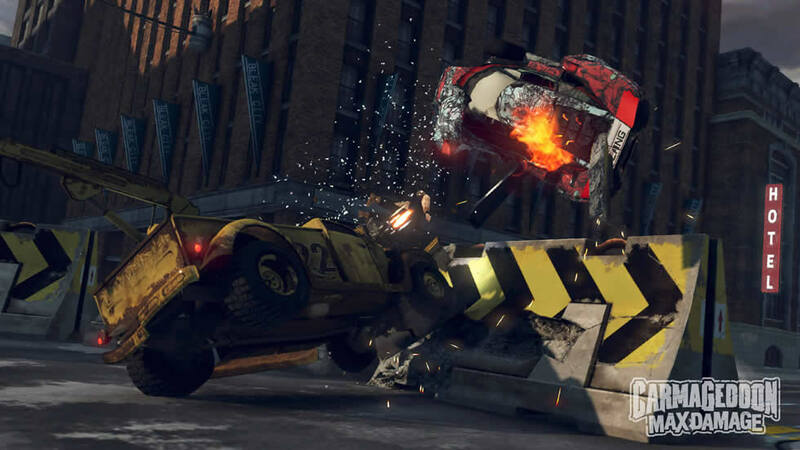 It has since been ported to other platforms and spawned a series of follow-up titles, with the most recent title being Carmageddon: Max Damage back in 2016 for the PlayStation 4, Xbox One, and PC. It’s a game that’s old school, outrageous, and just okay, according to the mixed reviews on Metacritic. While THQ Nordic is making acquisitions left and right, don’t expect a sequel from every THQ Nordic-Owned IP. But with 55 games in development, 35 of which have yet to be announced, anything is possible. It’s too soon to say whether the lukewarm reception to Darksiders III will have any bearing on the company’s business decisions but, at the very least, it’s on its mind. We will have to wait and see what this could mean for Carmageddon. Maybe there will be some sort of revival of the series for more modern platforms in the coming months and years? Would you like to see another entry in the Carmageddon franchise? Or did this series spin out for you back in 2016? Let us know in the comments below, and let us know what you think about all of THQ Nordic’s other acquisitions too!